As Pope Francis conducts his tour of Jordan, the occupied Palestinain Territories and Israel, the moment seems right to consider some of the Christian communities of the Middle East and their ongoing role in the regional conflicts, especially the Melkite Greek Catholics and the Aramaic-speaking Syriac Orthodox. On 20 May in St James’ Church, Piccadilly, London Gregorius III Laham, the Patriarch of the Church of Antioch and spiritual head of the Melkite Greek Catholic Church, gave a talk entitled ‘Syria – What Hope?’ The Patriarch is based in Damascus but makes regular officially-sanctioned trips abroad to give speeches and has frequently appeared in the media, notably last year when he was vocal about the happenings in the mixed Christian/Muslim town of Maaloula. No doubt the Patriarch has to be very careful what he says, but his speech in London on 20 May was deeply disturbing for what he did not say. In his assessment of the current situation in Syria and how it came about, he began by talking about how Syrian people came out peacefully in demonstrations asking for dignity and peace – so far so good. But then he launched straight into lambasting Muslim extremists who, he said, had come in and hijacked the Syrian revolution. He blamed Qatar, Saudi Arabia and Turkey for their support of jihadi extremists who, he said, were the cause of the problem. ‘We are the victims,’ he declared, ‘of terrorist groups and their supporters, and those who send them.’ The violence of the Syrian government regime in crushing the peaceful protesters was not mentioned at all. The regime’s role in thereby escalating the conflict was completely passed over, jumping straight from the peaceful protests to the jihadi extremists as if there was nothing in between. The Patriarch cannot really be so ingenuous. He knows full well that the time lapse between the start of the peaceful protests and the arrival on the scene of the jihadi extremists was over a year, but no mention does he make of that missing year in his narrative. On the ‘problem of Palestine’, he is on safer ground, having the reassurance that he is fully in tune with the Syrian regime when he calls for a resolution of that conflict. This year however, the situation has changed. The camp is full instead with Syrian Kurdish families, as all the Syriac Christian families bar one have all left. All have been sponsored by local Syriacs to leave the camp and enter Turkey properly. Most have moved on to Istanbul, but some have stayed in local jobs in Midyat. The final remaining family is already half-way out, preferring to live in a squalid single room in town costing 150 Turkish lira a month than to live in ‘Guantanamo’ as they call it. A simple family, the father is a carpenter, but has no papers so cannot work. His five children have not been to school for the last two years, yet he tells me they feel comfortable in Midyat despite the cramped conditions because they are among their own community. 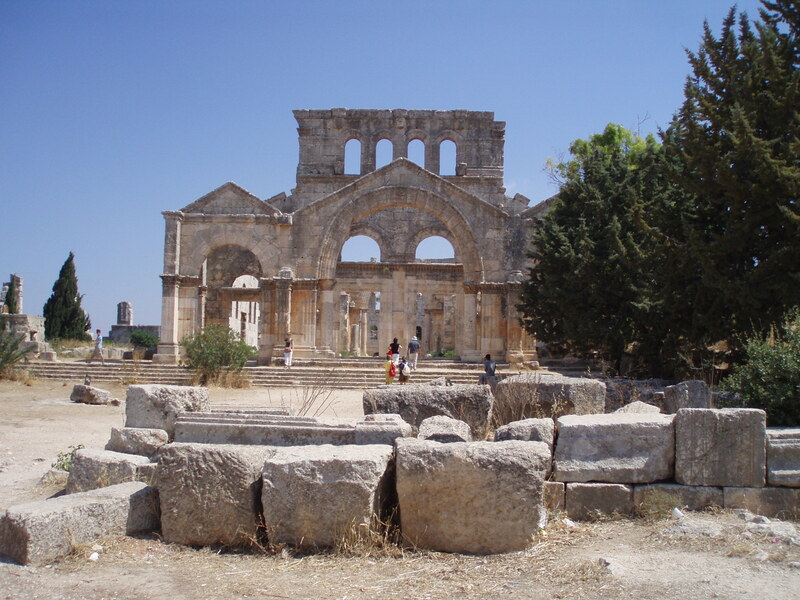 Right at the southern edge of the Tur Abdin, high on a ridge overlooking Syria and the Mesopotamian plain, the newly rebuilt Monastery of St Jacob of Qarno has just been connected to the water supply of the local village. 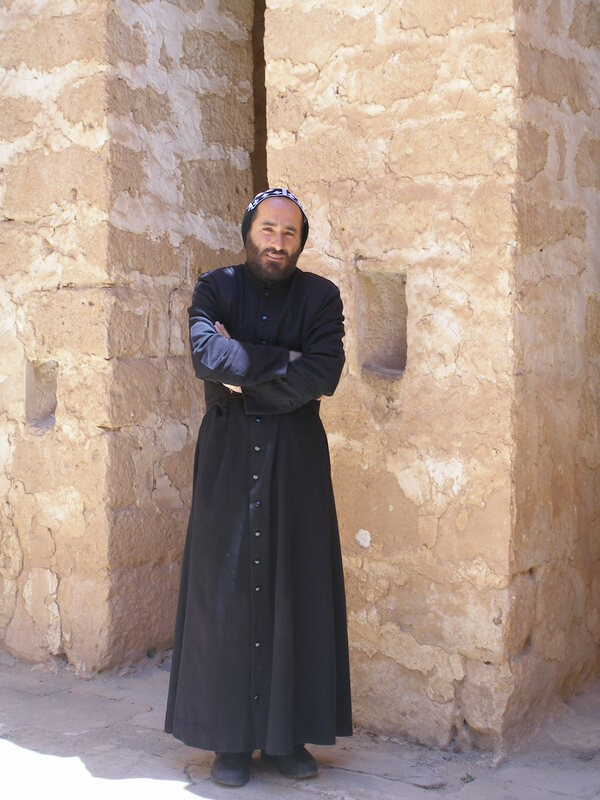 Its solitary monk, Father Aho, dug the trench himself with the help of the local community who raised 400,000 euros for the monastery’s restoration thanks to remittances sent from Europe by members of the Syriac diaspora. At Father Aho’s ordination as a priest on 26 April 2014 over a thousand people attended from all over the world. In the monastery shop he sells commemorative mugs and T-shirts, and proudly shows me his multi-lingual library, his garden newly planted with potatoes, fruit trees and vines. All over the Tur Abdin members of the Syriac community are determinedly holding onto or rebuilding their heritage, fighting court cases against Kurds who occupied their empty properties and lands on the basis that they were the original owners, while the Kurds were merely squatters. They are gradually succeeding. 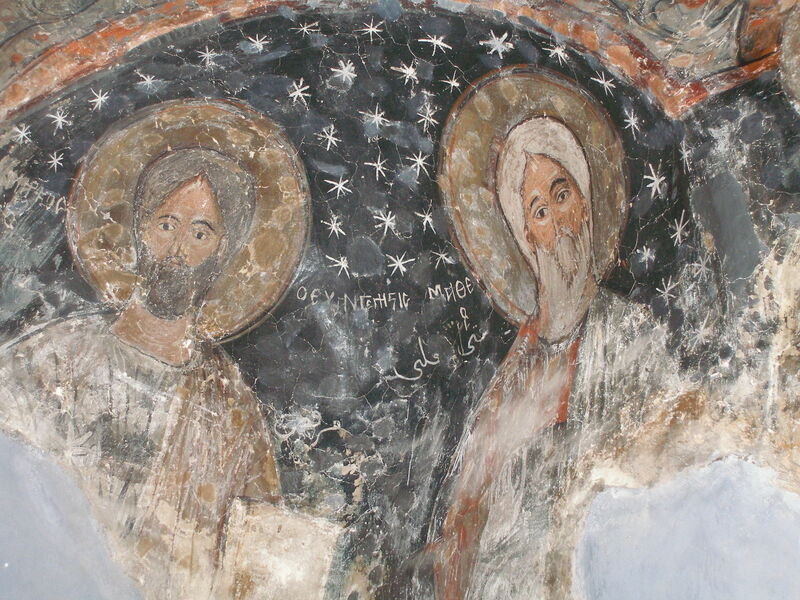 What does all this tell us about Christians in the Middle East? That they understand the plight of the displaced Palestinians very well, and are very good at looking after their own. It is to be hoped that the Pope’s readiness to speak out against injustice inspires a few more Middle Eastern Christians to do the same, be it injustice not just against their own but also injustice against others.